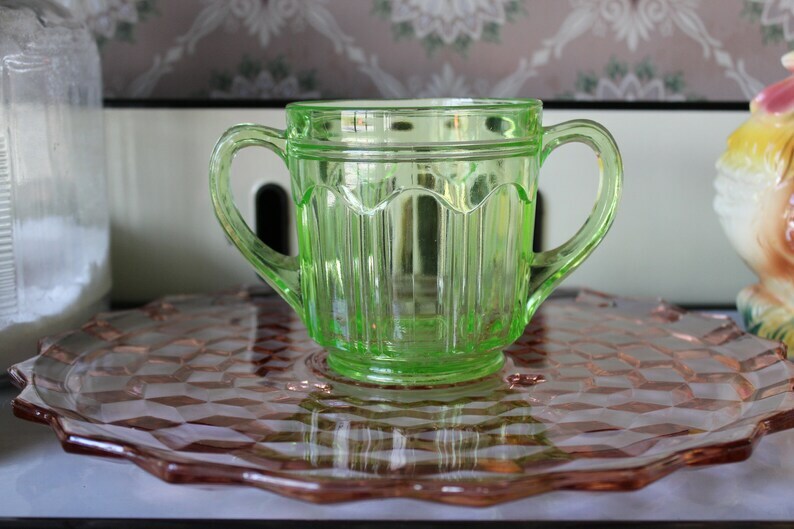 This vintage green Depression glass open sugar bowl with two handles is made out of uranium or Vaseline glass. It glows under a black light. It is in the Colonial pattern, also known as Knife and Fork, made by Hocking Glass in the 1930s. This large uranium glass sugar bowl would look pretty in your cottage or farmhouse kitchen. 6 1/2" handle to handle.